During the morning rush, you may misplace the house keys. While you prepare your lunch, pack your children’s backpacks, and ensure that everyone has what they need for the day, your house keys might fall in a corner that isn’t instantly apparent. If you’ve misplaced your key ring more times than you count, use the following tips to keep track of them in the future. Whenever you know you’ll be leaving the house for an important reason—such as for work or for a weekly class—ask your phone to remind you to pick up the essentials before heading out. While you might attempt to keep a mental checklist, an electronic reminder may be the extra push you need to leave with house keys in hand. If your door locks on its own, it’s easy to leave the house, spend the entire day out and about, and not realize you forgot your keys until you return at night. Instead of making an emergency call to a locksmith, make a spare key and hide it for these unfortunate moments. However, don’t resort to simple spots like under the doormat—keep a spare in your car, or inside a plant around the perimeter of your house. These days, a rise in Bluetooth technology has made finding lost items significantly easier. If you left your house keys under a pile of clothes while getting dressed, or dropped them in your front yard when taking the dog out, a Bluetooth key finder can help you track the exact location of your keys. You can attach a tile to the key ring and use an app on your smartphone to locate your key when you misplace it. If you want to make a spare house key, or if you’re locked out without one, get in touch with A. Scalia Lock & Key of Quaker Hill, CT. 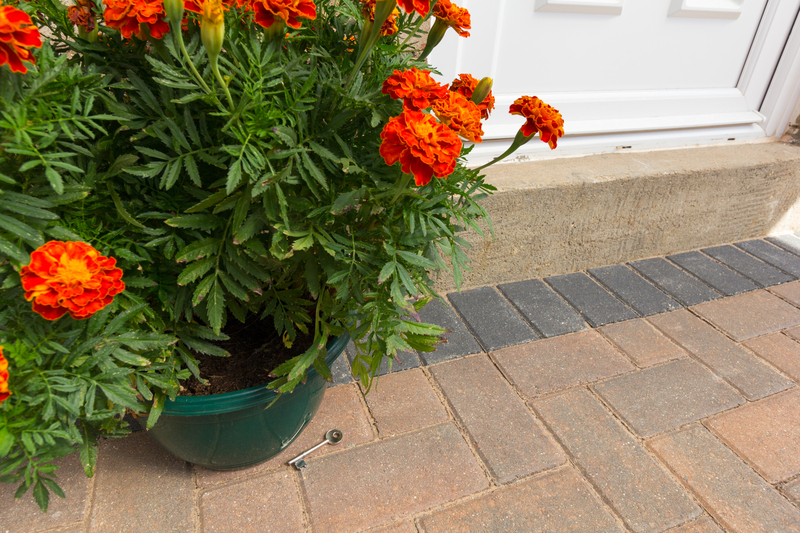 They have over 20 years of experience helping area residents regain access to their properties, as well as ensuring their locks are intact and up-to-date. To learn more about how they can help you, call (860) 444-6822 or visit the website. Where Should I Keep My Safe?